This week Facebook announced that it’s going to start using all of your app and website history and serve up more targeted ads. Here’s how to stop it. This week Facebook announced that it’s going to start using all of your app and website history and serve up more targeted ads. Of course since this if Facebook, you’ll automatically be opted in to this new service, and will have to take steps to manually opt-out…and the company doesn’t make it easy. Facebook made this announcement under the guise of making ads better and giving you more control over which ones you see. But in reality, if you start taking part in this, you’re just giving more precise data to the advertisers. Data and information you might not care to be giving out. If you don’t want us to use the websites and apps you use to show you more relevant ads, we won’t. You can opt out of this type of ad targeting in your web browser using the industry-standard Digital Advertising Alliance opt out, and on your mobile devices using the controls that iOS and Android provide. 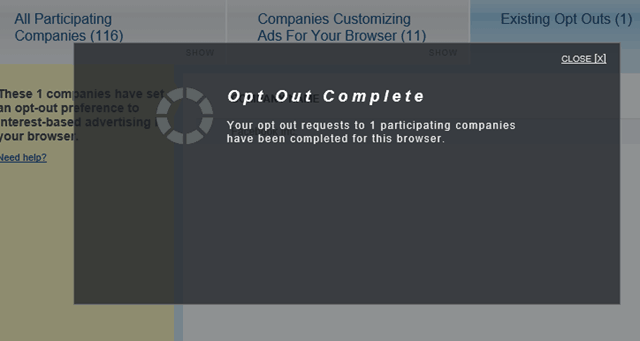 To opt out of this new “ad preferences” program, you need to head over to the Digital Advertising Alliance page. And from here you can let Facebook know that you’re not cool with sharing. Note that you’re browser will need to be set to accept cookies, and turn off any ad blocking extension you might be running to use this site. 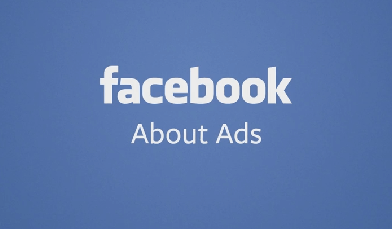 Then under the Companies Customizing Ads for Your Browser find Facebook Inc. and check it. Or if you don’t see it there, look under All Participating Companies and check it. In fact, while you’re at it, you might want to check any or all of the other choices on the list. When your done click Submit your Choices button and then you’ll see the following confirmation message. So the above option is all well and good when you’re on your computer, but what about when you’re using Facebook on your Android or iOS device? On iOS you will need to have Restrictions Enabled, which you definitely should as a best security practice. 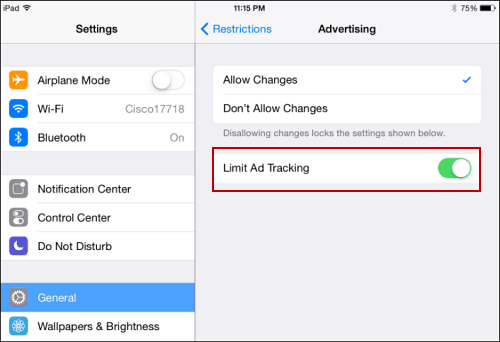 Then go to Settings > General > Restrictions > Advertising and make sure the switch to Limit Ad Tracking is set to ON. 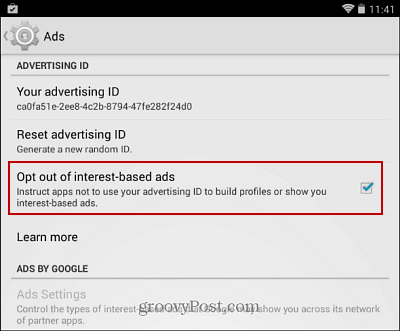 For Android Users, go to Settings > Accounts > Google > Ads and check Opt out of internet-based ads. Note that this doesn’t make the current cache of data Facebook has already collected on you is going away. This will, hopefully, prevent advertisers to stop tracking your habits in such a closely monitored and creepy way. If you would rather not even have to deal with Facebook constantly changing its security and privacy rules…first, don’t join it to begin with. And if you do have an active account, check out our article: How to Completely Delete Your Facebook Account.